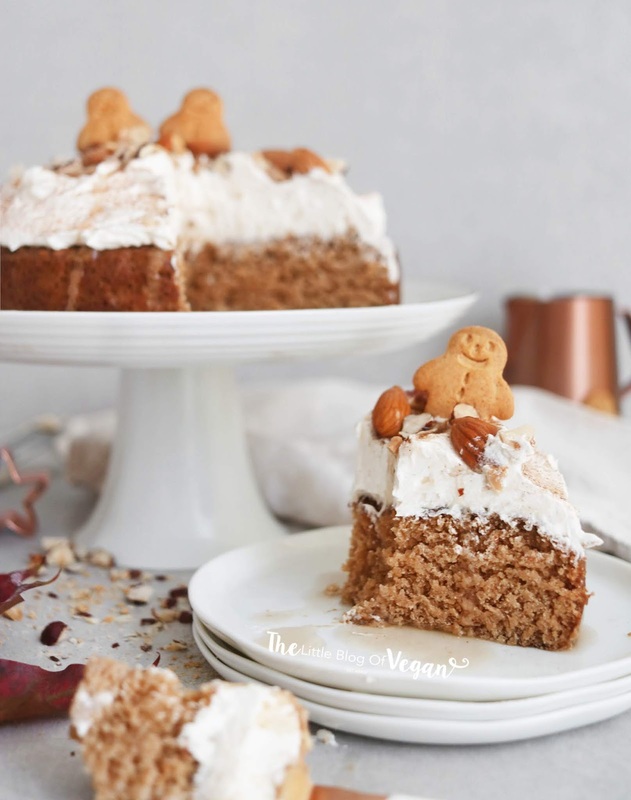 Gingerbread & maple cake with a whipped cream cheese frosting, topped with a dash of ground ginger, chopped nuts, mini gingerbread men and maple syrup. 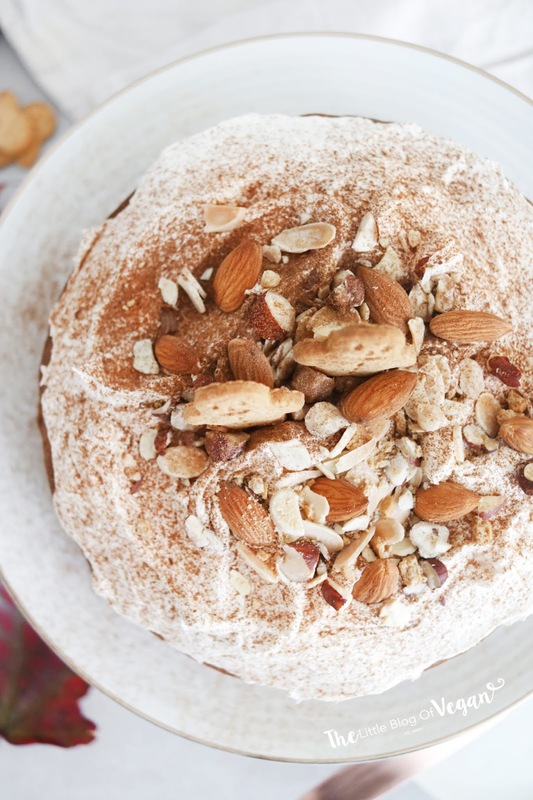 A delicious autumn cake, which is warming and full of flavour! 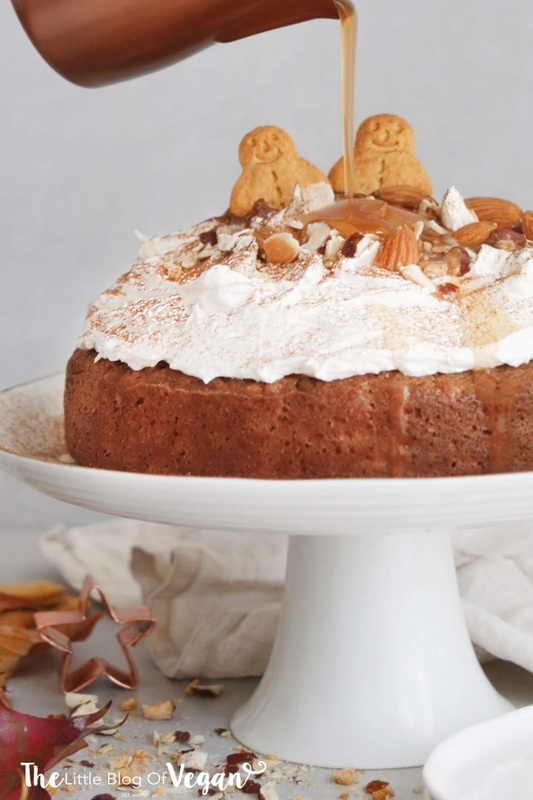 I decided to make this gingerbread and maple cake, inspired by Starbucks new Maple drinks! Fall/Autumn time is the perfect time to enjoy all things cinnamon, nutmeg, ginger & maple! This cake is a lovely treat for afternoon tea- very British. 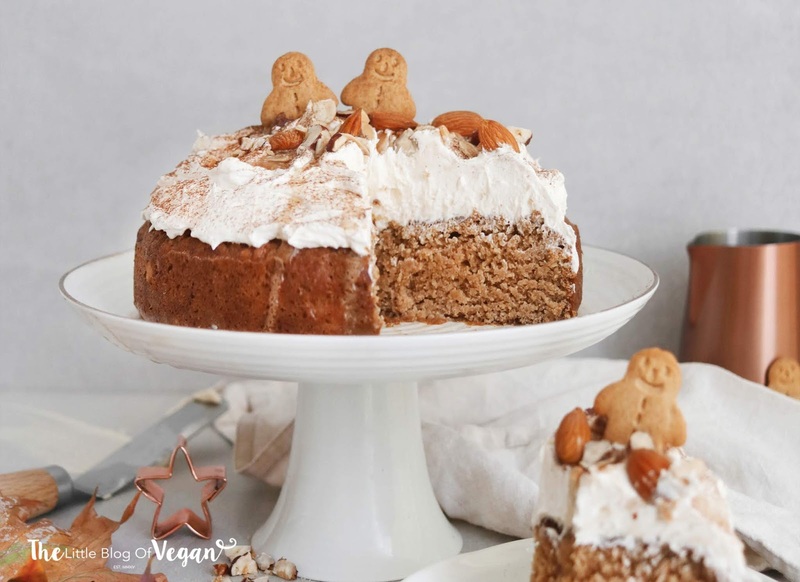 It's are quick and easy to make and 100% vegan!!! Step 1- Preheat your oven to 180 degrees c and line one 9 inch cake tin with grease-proof paper. 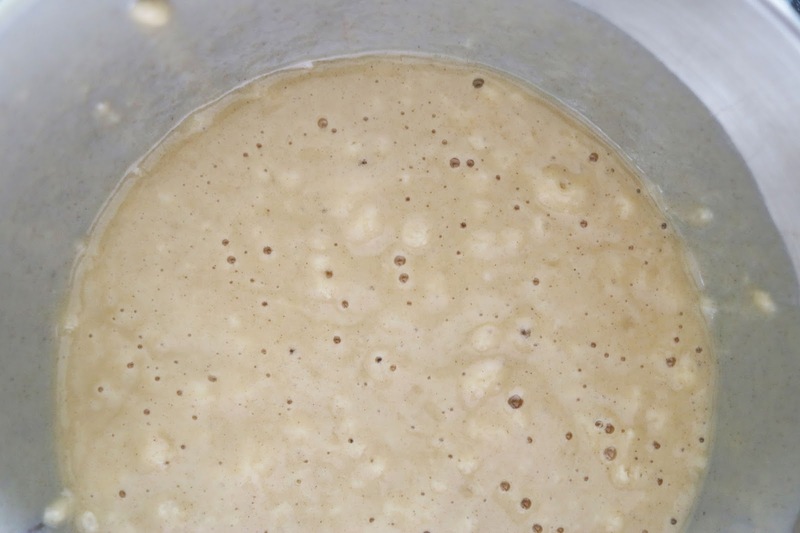 Step 3- In a large mixing bowl, sift the flour, sugar, baking powder, bicarbonate of soda, ground ginger and ground nutmeg. Step 6- Pour the cake batter into the lined cake tin. Make sure to tap the tin on the worktop to remove any air bubbles. Step 7- Pop the cake into the centre of the preheated oven and bake for around 28-30 minutes. You will know when it is done when you put a knife or skewer in and it comes out clean and it's springy to the touch. Step 8- Place the cake on a cooling rack and allow to cool fully. Once cool, pop the cake into a sealed container to keep it fresh before frosting. 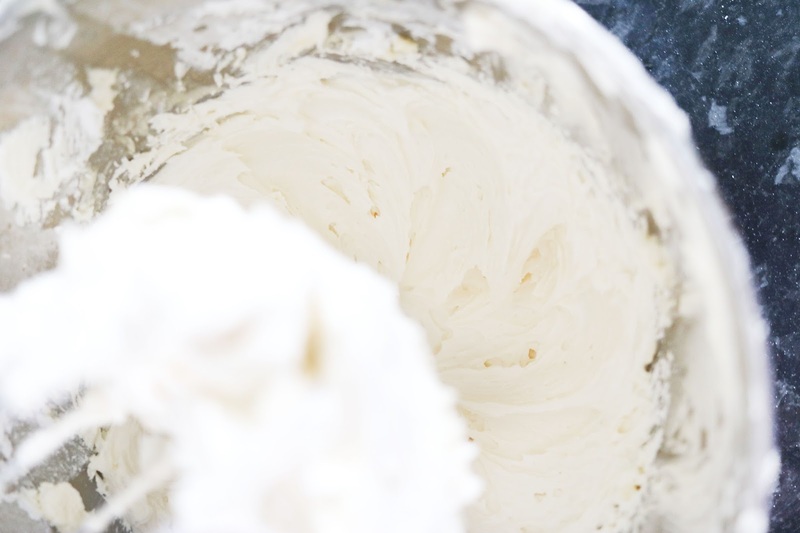 Step 1- In a bowl/stand mixer, cream the butter on high then add in the cream cheese and icing sugar. 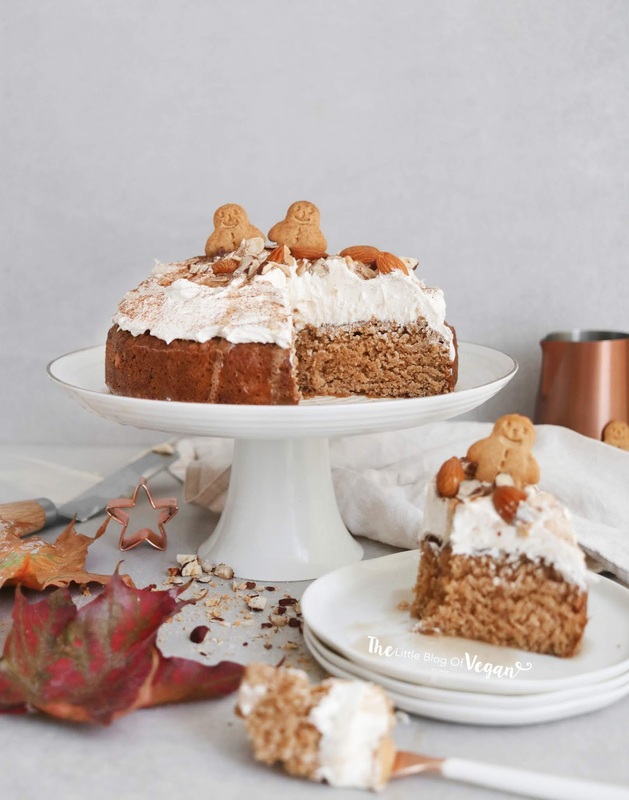 To serve the cake, I topped it off with the cream cheese frosting, a dash of ground ginger, chopped nuts, mini gingerbread men and maple syrup. 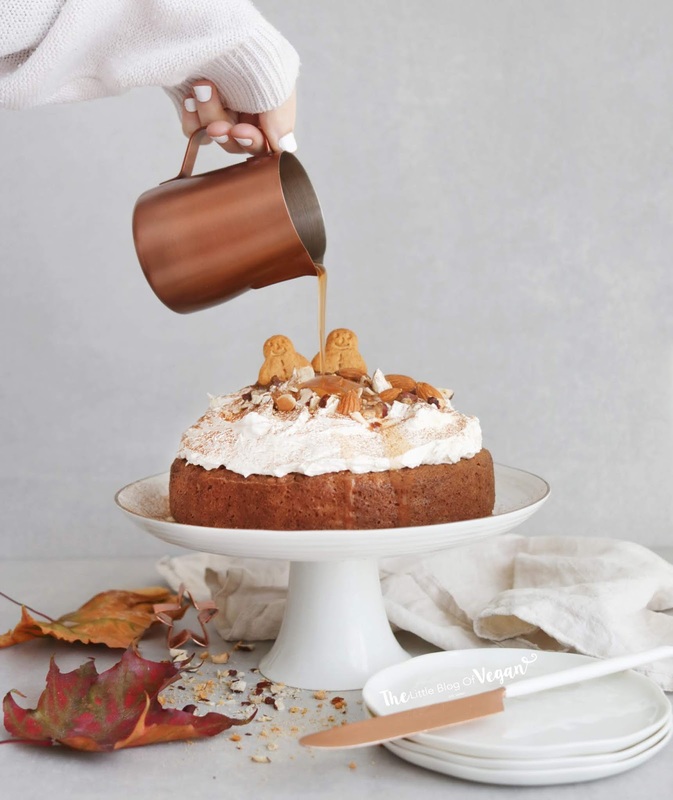 This cake looks so delicious and perfect for Fall! What a cute cake! Thank you for sharing the recipe!